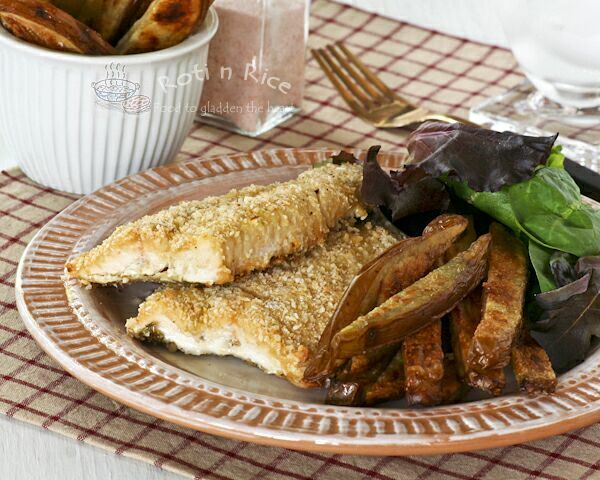 It is possible to make crispy golden Oven Fried Fish and Chips at home. With the right technique, it can definitely be achieved and all in the same oven too. You will have to crank up the oven to 450°F (230°C) but it will only be for 30 minutes or so if you have everything prepared and ready to go. Over a month ago, we were out in Upper Michigan and I brought home some Lake Superior whitefish and trout. Since we had had our fill of fish and chips while we were there, I did not want to make more of the same. Instead, I used the whitefish for this delicious Pistachio Pesto Crusted Whitefish. Not wanting the trout to stay in the freezer any longer, I decided to make Oven Fried Fish and Chips last week before the boys went back to college and school. I was a little hesitant at first as the weather was pretty warm. Still I went ahead because it will only take half an hour of baking if I had everything ready. While the Baked French Fries were in the oven, I prepared the fish so that they can go into the same oven and be done all at once. I put the fish in when the fries were ready to be turned after 15 minutes and continued baking for a further 15 minutes after that. It worked out beautifully. Sorry, I have to step-by-step pictures to share this time as I had my hands full, literally. The key to oven fried meats is to place them on wire racks over a baking sheet. This will prevent soggy bottoms. 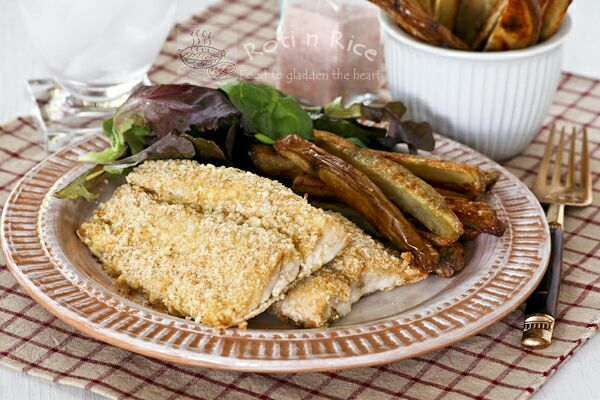 I used my tried and tested gluten free coating in these Gluten Free Baked Chicken Tenders on the fish. I swapped out the shaved parmesan cheese with dried unsweetened grated coconut for a different flavor. 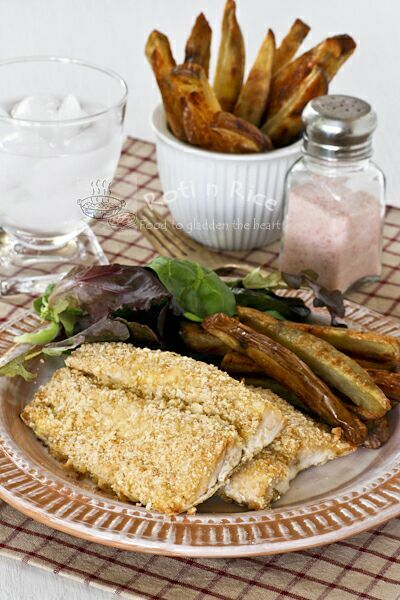 We had a little side of salad and lemon wedges to go with the Oven Fried Fish and Chips. It was a tasty and satisfying meal.